Mother Earth News arrived the other day and I was drawn to an article called “Wabi-Sabi: Finding the Beauty and Peace in Ordinary Things” on page 50. It was an unusual article for Mother, which usually has a focus on things like growing potatoes or installing eco-friendly heating systems. This then led me to pick up a four month old copy of Whole Living that I’ve been meaning to finish for too long. To my surprise, there was an article on page 102 called “Wabi Sabi Your Life: Simple Strategies for Embracing Imperfection.” I rarely read an article more than once and I found myself reading these two articles over and over because I felt so connected to this philosophy. 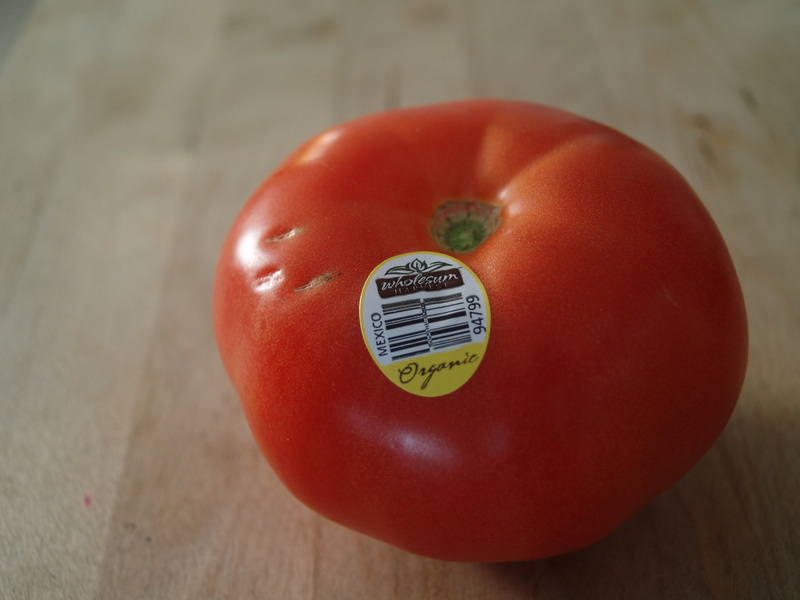 This organic tomato has more antioxidants and it was not grown using pesticides, which is better for the environment and better for our health. It may have some imperfections, but the taste is better. 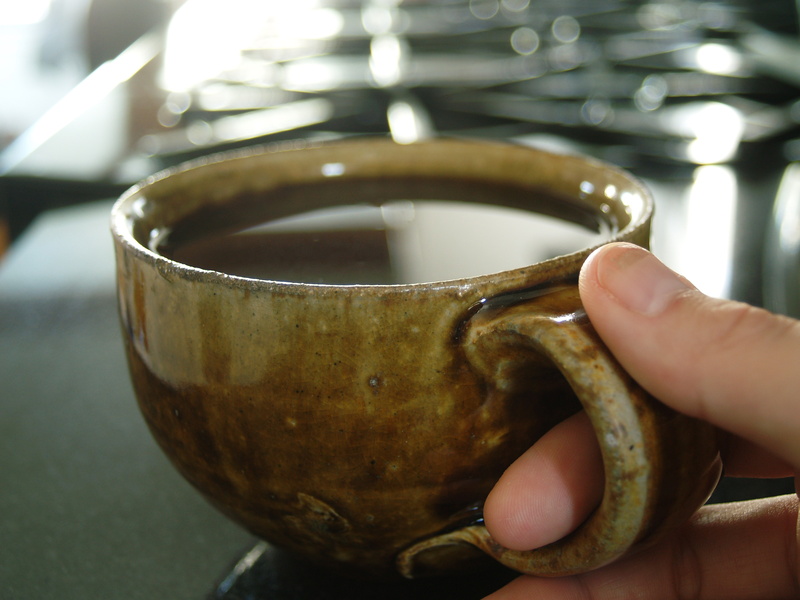 This mug was purchased from a potter in Pennsylvania when I was in my early 20s. I remember being so broke at the time, but I loved the earth tones of his work. All of these years later, I’d prefer to drink my coffee or tea from this lovely piece of art than an unoriginal mug with my company logo on it. Yes, I have shelves of worn out paperbacks and mass market fiction. 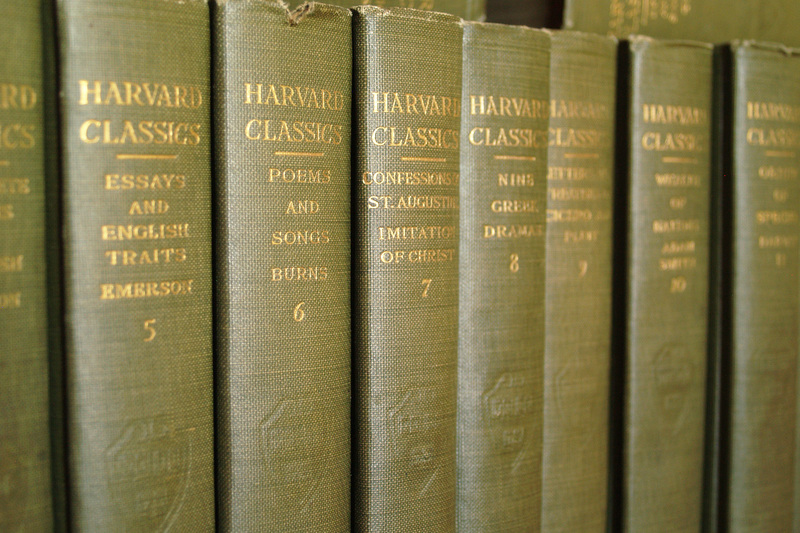 However, I cherish these Harvard Classics from 1910. They were given to me by my grandparents and spent many years on a shelf built by my great grandfather. Though they are in wonderful condition, the pages have a lovely yellowed edge and the spines have started to unravel. 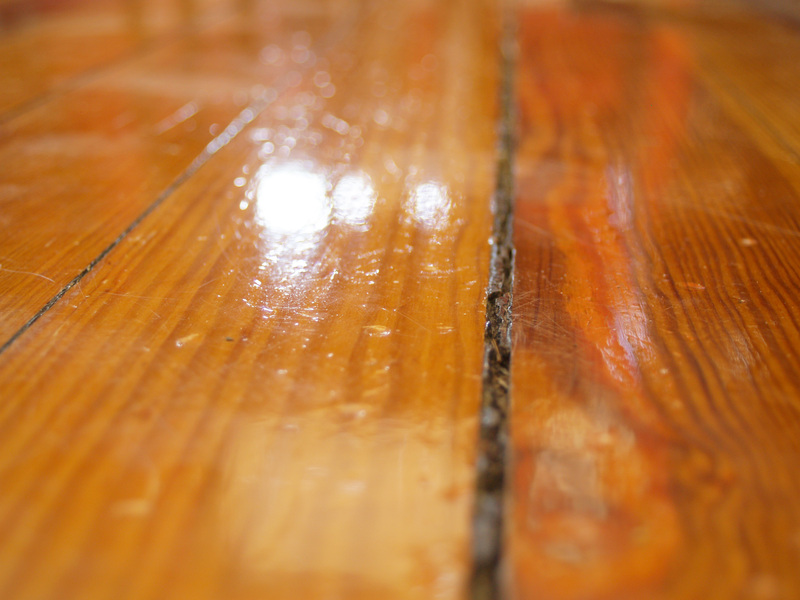 Another bit of history from 1910 would be my very worn floors, which would have to be one of the things I love most about my 101 year old home. There are gaps and cracks in the wood, but it only adds to the beauty. You have to imagine who was walking on these very same pieces of pine 100 years ago. This afghan was made by a friend (Joanne) as a wedding gift. It took her four months to make and, knowing how much I care about the environment, she used leftover scraps of yarn that she’d been accumulating. 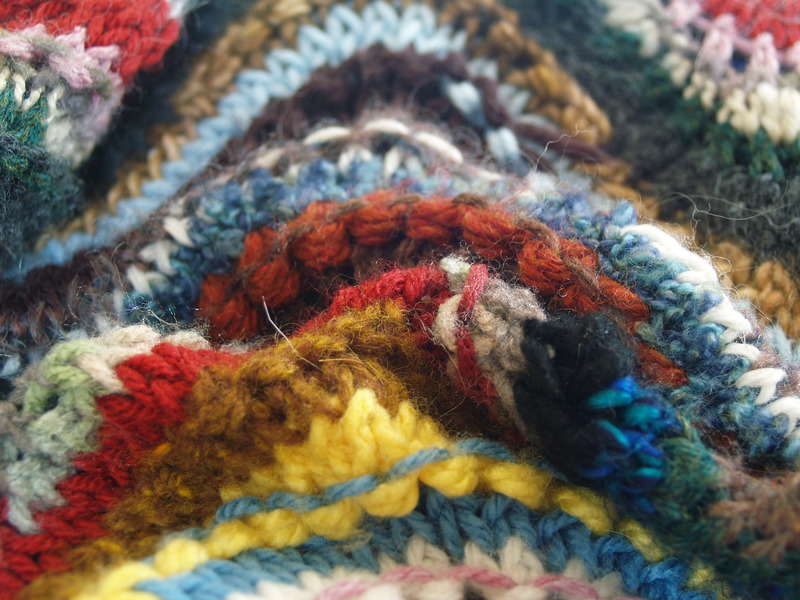 The blanket is so bright and comfortable…and completely hand-made with love. These earrings were a birthday gift from my dear friend, Jackie, last year. 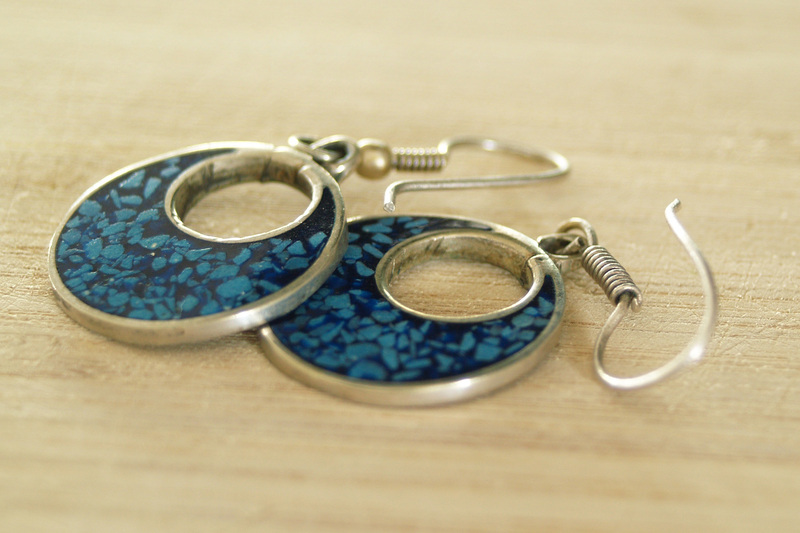 I don’t know how old they are, but I love that she found them second-hand somewhere and thought they “looked like me.” They have a lovely blue stone material surrounded by silver. Some may say the silver is tarnished, but I say it has a patina. This is one of my kitties, Winston. The chair and blanket are not old, but one aspect of wabi-sabi is accepting imperfection. 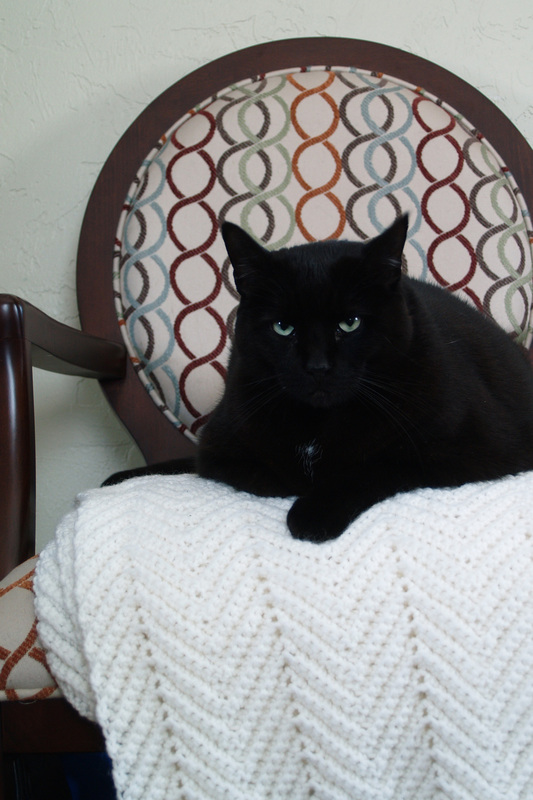 So, I am trying to be less cranky about kitty fur by realizing that it just is. I’d rather have my three kitties than fur-less furniture and blankets. I no longer buy leather shoes (or anything leather for that matter), but these deserve a moment of honor. 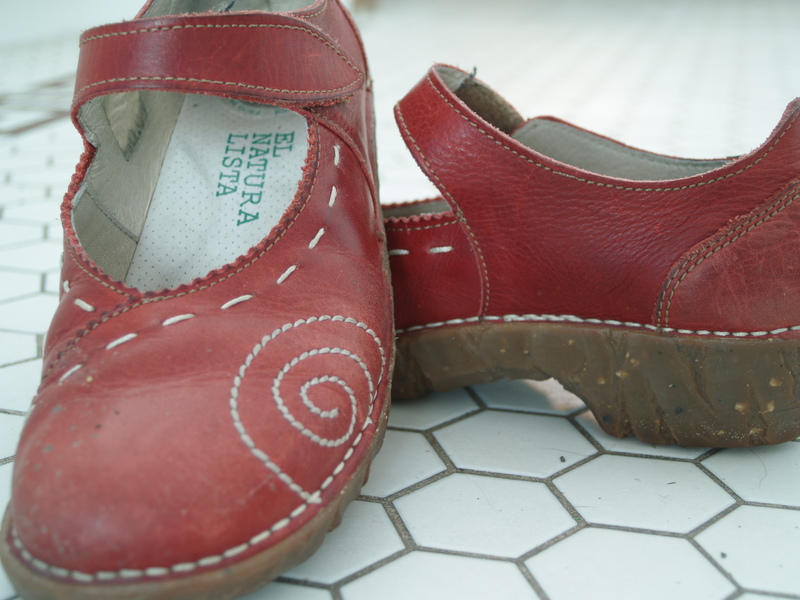 I purchased these eco-friendly shoes in Seattle a long time ago and they represent so many memories, from gardening to vacations to sadder events that have shaped me as a person. From “I Love My Shirt” by Donovan in 1968: Do you have some shoes that you really love/ Ones that you feel so flashy in ?/ You don’t even mind if they start to get some holes in/That only makes them nicer still. When Chris and I first moved in together, we lived right on the beach. We’d go out for walks constantly and if we were feeling really mushy and ridiculously in-love, we’d pick up a rock and go home and paint the date on it. They sit in a clay pot on a windowsill and I forget they are there. 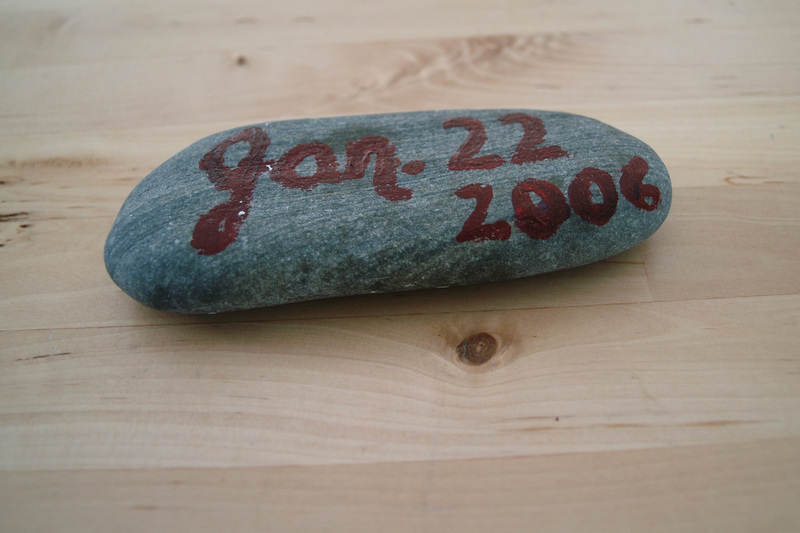 Looking through them brought back memories and I might just paint the date on a rock again soon. I was helping my grandmother clean out a bunch of shelves. Way in the back, we found a box of old blue Mason jars. She gave one to me because I couldn’t get over how beautiful the color was. 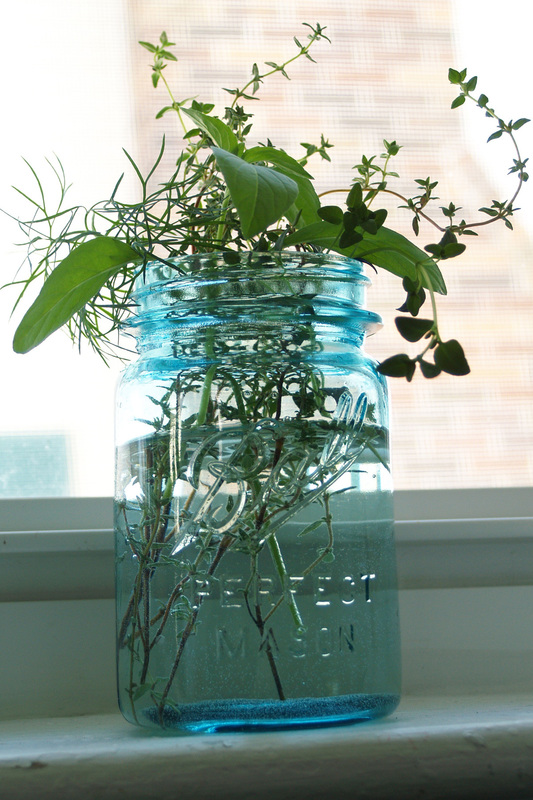 It serves as a perfect vase for flowers or herbs. Though I think wabi-sabi does have a lot to do with material objects or aesthetics, I think we can all use some bits of this philosophy in our lives. For example, in my own life what is more important? Meeting a work deadline or making sure I’m there when my husband’s kids (he is a music and chorus teacher) have a concert? Taking the time to make a simple but wholesome dinner or ordering Chinese takeout? Buying a bag of regular apples that are shiny and perfect or a bag of local, organic apples that are imperfect but taste better? Eating macaroni and cheese because it tastes good or choosing instead something without dairy so that my conscience can be more at peace? 1. Go through a room and simplify it. Take out all of the stuff that can cause clutter in your mind. Make sure one thing you have an emotional connection to is featured in your view. 2. Grab a pair of pruners, go outside and cut a few thin branches/twigs, and put them in a vase or jar in your home to allow some of the natural world in. 3. The next time you are at the grocery store, pay a little bit more money for the funny-looking organic vegetables. They are healthier, grown by a more thoughtful farmer, and this action will make you feel better about yourself and your meal – I swear. Remember one thing: we are all imperfect. For more reading about wabi-sabi, you can read this (coming in May 2011) or this. Imperfection could maybe also mean making do with less, and not taking too much from the Earth or from the heritage of our children. And wood and pottery and hand-crafted items have warmth, have heart. I would add to your list to support local artisans, and to learn to make things oneself. The Internet may be a technological modernity but it has an odd use in bringing us back closer to nature: you can find plans and descriptions of how to make anything from solar ovens to handmade recycled paper to fresh homemade bread. Or a new home or outbuilding made with straw bales, cob, and wooden beams!